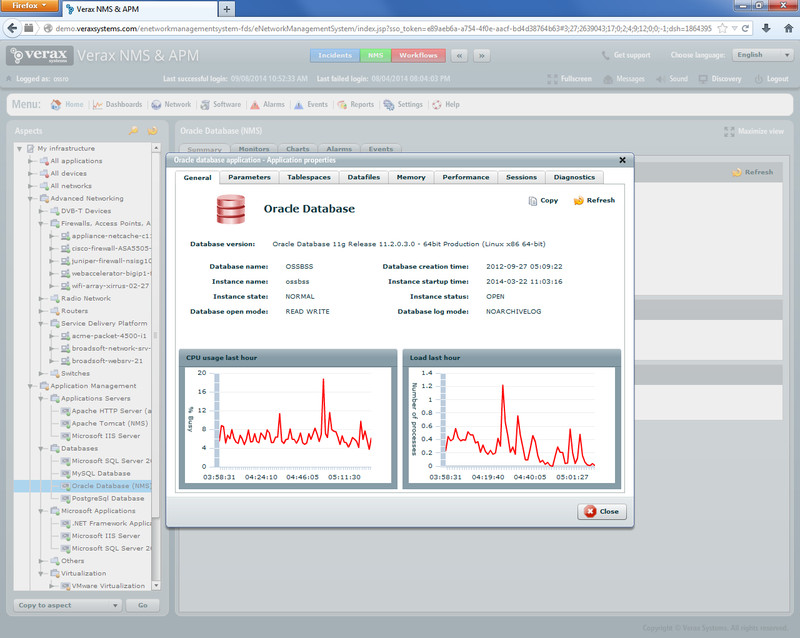 Verax NMS & APM Oracle RDBMS management plugin enables easy monitoring, alerting, health check, management and performance reporting for Oracle databases. The plugin supports multiple instances (single or multiple hosts) of Oracle 9 and higher running in 32 and 64 bit environments. 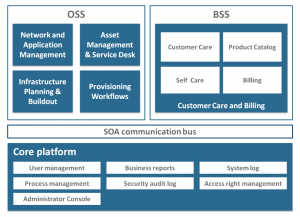 Open mode, instance state & status, creation and startup times. Charts for CPU usage and number of connecting processes. Provides a comprehensive parameter list obtained from Oracle v$parameters, including: name, current value, description and number of revisions with changelog history. The changelog is only available if Oracle administrative console is configured for the database and SYSMAN account present. The tablespace view provides a summary of all tablespaces in the database including name, status, file, extent management information, segment management information, size and usage statistics. Warning and critical usage levels are graphically indicated. The plugin provides predefined templates for most commonly monitored Oracle RDBMS items (listed in the table below). Other, user-defined sensors and performance counters can be added.